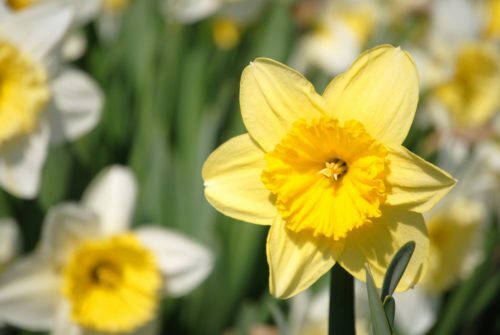 You can share the Daffodil Project by dedicating daffodils in honor of a family member, friend, or your favorite community organization. They'll receive a customized daffodil certificate commemorating your support of communities across New York City in their honor. Give a gift that never stops blooming! Please note that these free bulbs are distributed to anyone who agrees to plant them in public spaces throughout the five boroughs. NY4P cannot guarantee that the bulbs will be designated to a specific park or borough. *To receive a paper daffodil certificate in time for Valentine's Day, please place your order by Monday, February 11th at 12pm; to receive an electronic version via email, place your order by Wednesday, February 13th at 5pm.